The workforce and technology are both changing rapidly. It’s hardly a surprise, then, that human resource professionals are rethinking the way they do things, too. Sticking to the same old strategies and routines is as passé as a paper resumé. 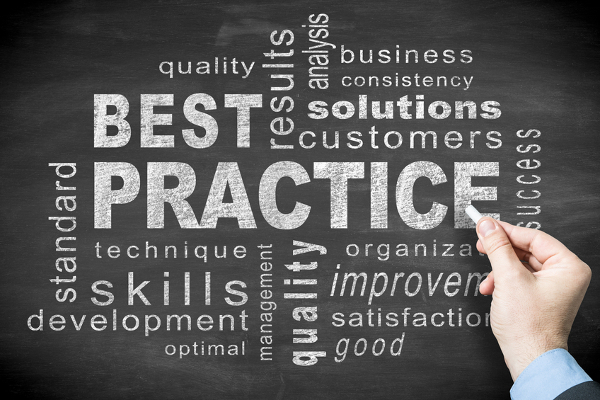 We asked two leading HR experts to suggest some updated best practices–their answers may surprise you. Be bot-friendly. The modern workplace goes beyond a blend of full-timers and freelancers, says Meister. Increasingly, companies are bringing a third kind of “worker” on board: bots. These aren’t actual robots–it’s an umbrella term for smart technologies, such as apps and voice-driven devices that can perform tasks more quickly and efficiently than a human could. “These bots are now being targeted to the HR departments,” says Meister. Need a clearer idea of how bots might work? Picture an employee texting an app a question about his company’s T&A guidelines and getting an instant reply, rather than having to leaf through a thick manual or wait for a time when an HR staffer is free to talk. Picture, too, an HR person using an online platform to find the best interview questions to ask any given candidate. By 2017, says Meister, iIt’s estimated that more than 25% of the Global 100” –the planet’s 100 most sustainable corporations, that is — “will have customized apps for their organization.” Why not follow their example? “HR needs to explore and leverage the latest smart technology to improve its productivity,” Meister urges. Young recommends listing not only the tasks associated with each position, but the physical requirements and the work environment in which they will be performed. “Does the job require someone to stand on cement for eight hours a day? If I have an applicant or injured employee who can’t physically do that because of a temporary or permanent disability, I need to demonstrate that it’s an essential part of the job,” she says. Otherwise, you open to the door for legal complaints. Do more documentation training. This is another practice that can help protect companies from costly conflicts and lawsuits, says Young. Simply put, documentation training is the act of showing managers how to properly and promptly document any incidents that happen on their watch. It’s as essential as any other type of on-the-job learning, Young stresses. Make the workplace an experience. “Employers who want to attract the best talent have to understand that work is more than a job these days. People are looking for an employer that taps their emotional connection. They want to work for an organization that is purpose-driven, and makes an investment in them–in their learning and their career,” observes Meister. It may mean more effort on your end–but ultimately it will also mean a top-notch workforce.